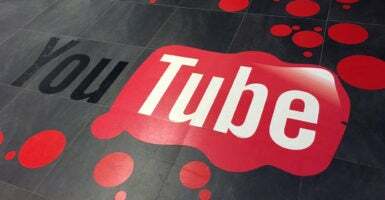 A federal judge has thrown out a lawsuit filed by conservative nonprofit PragerU against Google, arguing that subsidiary YouTube did not violate First Amendment rights by partially censoring or limiting the organization’s YouTube videos. Presiding U.S. District Judge Lucy Koh ruled Monday that, inherently serving as a privacy company, Google has no obligation to equally apply its services, or in this case, its ostensible penalties. PragerU attempted to argue that although YouTube is a private entity, Google operates it as a public forum (perhaps due to its apparent ubiquitousness), and thus is liable to First Amendment oversight. Marissa Streit, PragerU’s CEO, said she doesn’t see the ruling as a defeat—describing it as “far from an unexpected setback”—since other legal avenues remain, such as higher courts. “Already, some headlines in the media would have you believe we have lost our case outright. Quite the contrary, this is only the first step in the process and we join our legal team in its optimism for the future prospects of our lawsuit,” Streit said in a written statement. “We thank the Honorable Judge Koh for her thoughtful ruling, which allows PragerU, in essence, to continue our efforts,” she said. PragerU filed the lawsuit in October, accusing Google (through YouTube) of restricting or “demonetizing” its videos on aspects of American government and politics despite their general innocuousness, and apparent compliance with the video platform’s rules. Demonetization is a less alarming term for revoking sponsorship and thus ad revenue. Other restrictions come in the form of “Restricted Mode,” which means that users who are part of a larger network—like ones operated by schools, libraries, and other public institutions that voluntary turn on the feature—cannot view content deemed inappropriate by YouTube. The criteria for types of content to be blocked under “Restricted Mode” include drugs and alcohol, sexual situations, violence, “mature subjects,” “profane and mature language,”and “incendiary and demeaning content.” Some observers consider these criteria fairly vague and susceptible to subjectivity, and as a result prone to unequal implementation. “At first, we thought it might have been an algorithm or an innocent mistake causing our videos to be restricted,” Craig Strazzeri, chief marketing officer for PragerU, told The Daily Caller News Foundation weeks ago. Guests invited to discuss such subjects in the videos include former and current professors and scholars from Stanford, Harvard, and Yale, among them Alan Dershowitz; prominent athletes; and controversial political commentators such as Dinesh D’Souza. By demonetizing and restricting a total of 50 videos, PragerU asserts that YouTube is targeting it for relative ideological differences, while also equating the actions to unlawful censorship and discrimination. The Daily Caller News Foundation spoke in February to two professors familiar with the issues. They said that while there does, for the most part, appear to be disproportionate treatment, legal arguments appear incomplete, even dubious or weak. Nevertheless, PragerU plans to push ahead in the U.S. judicial system, hoping for different legal interpretations.